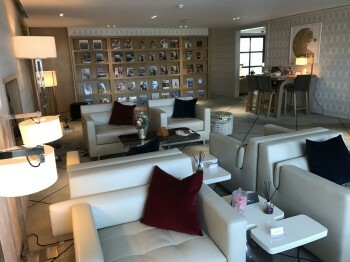 This is our review of City Airport’s new First Class Lounge in the Private Jet Centre. 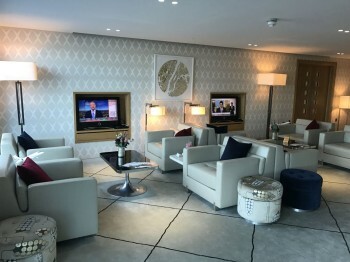 Last week I flew to Amsterdam with CityJet and got to check out the First Class Lounge at London City Airport. 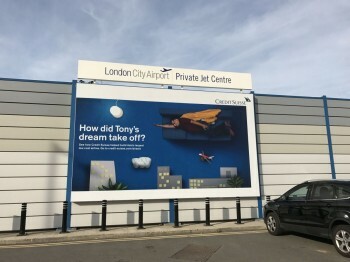 Yes, London City Airport DOES have a lounge but not many people are aware of it as it only opened this year and isn’t in the main terminal. Instead it is located in the Private Jet Centre and comes with true VIP treatment, as you will see. I should mention that as I was writing a review for Head for Points, I didn’t have to pay the £95 fee for this experience. Whilst you digest that number, I should say that – in the right circumstances – it is good value for the overall package you get. I should also mention up front that British Airways passengers cannot use the full service. I will explain why later. My trip didn’t start too glamorously with a trip on the Jubilee Line and the DLR. As soon as I got out of the station the First Class Lounge service began. I was greeted with a name sign and escorted to a car. If you have luggage to check in, you can either do this when meeting your First Class Lounge host who will take you to the front of the bag drop queue, or you can take your luggage with you and have it checked in at the lounge. The First Class Lounge is very bright and classy. It was very quiet when I was there, as in I was the only guest, which was great as I was able to take photos without disturbing people’s privacy (it actually says in the T&Cs that taking pictures is not allowed). At the far back is a shelf wall with magazines. The First Class Lounge doesn’t currently serve hot food, however this is planned for the future. There is breakfast in the morning and sandwiches during the day. I was too late for breakfast and had the sandwiches. These were nicely presented with flowers that probably were edible although I didn’t dare to try them! The best and last part of the First Class Lounge service is to be driven all the way to the plane and being the first to board. Rob has done this a few times in Frankfurt when flying First Class with Lufthansa but it was a new experience for me. If you want to subscribe to our YouTube channel and be notified about future videos, click here to visit our YouTube channel page. You can also watch the video via that page if it does not appear below. It is also possible to use the lounge when flying into London City. Arriving passengers are immediately collected at the aircraft with their luggage and driven to the lounge for customs and immigration. You can then use the lounge until you are ready to head into London. You can book the London City First Class Lounge for £95 per person. Though it says in the T&Cs that you must pre-book by 4pm on the day before your flight, last minute bookings are possible depending on third party resource. You can book the lounge in advance via the airport website. Unfortunately British Airways doesn’t allow for passengers to be driven to their aircraft. This doesn’t mean that you cannot use the lounge when travelling on BA. However you would need to be taken back to the main terminal and go through the regular security check if you’re flying with BA. The same goes fo Luxair passengers. 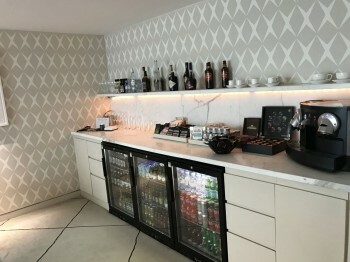 Using the First Class Lounge is definitely a great experience. 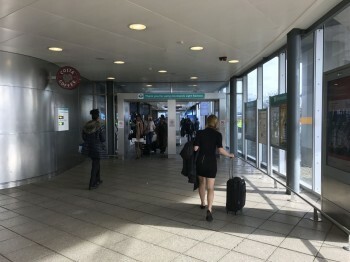 Especially as City Airport can get very busy and there is nowhere to relax before a flight, I believe there are ways to justify the fee of £95. For a business traveller, you will be able to do some work at the airport which is virtually impossible at the main terminal in peak times – business travellers would also be able to reclaim the VAT. 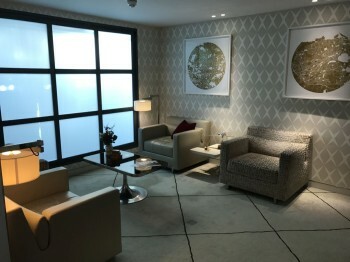 The First Class Lounge is also a great way of starting a special birthday trip or honeymoon. 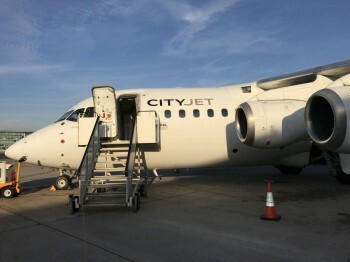 If your flight ticket isn’t too expensive (CityJet, for example, has good prices and a decent service as I will discuss in my upcoming flight review), it might be a justifiable splurge. In the end the service is amazing and it’s really just down to the price and the airline you are using as to whether or not to use the lounge. I can also announce that a Business Lounge is currently being built right next to the First Class Lounge which will be more affordable at around £35. We will keep you posted about the opening date and what to expect from the Business Lounge. 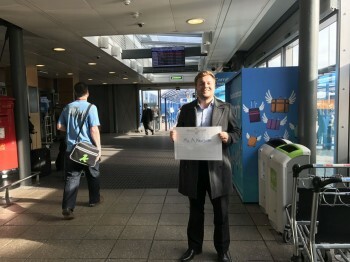 Thanks to the team at London City Airport for arranging my visit. Couple of questions, is there wifi in the lounge and if so how fast was it? Also is there a business centre where you can use printer/scanner services? £95 to sit in a room with a few chairs and some finger sandwiches?! You’re having a laugh! The beauty of City is you can turn up 30min before your flight and effectively walk onto the plane, there is no need for a lounge, and quite frankly even if there was, £95 would have to get a lot more than they’re offering to be worth it! Are you a Citi Managing Director? If not, this product is not aimed at you. If I still had my old City job they would have let me do this. What is the true target demographic of HfP? Citi MDs earning mega bucks are unlikely to give a monkeys about earning 500 Tesco cc points from a Now TV box. My boss only got the secretary to put through 37 trip expense claims recently totalling £’000s because he couldnt really be bothered and doesn’t need the money – unlike me who puts them through straight away! You confuse the 100 people who write most of the comments on the site with the other 19,900 people who visit each day or read the emails. The Tesco stuff was shunted over to Shopper Points primarily for this reason. Working on a £1bn takeover? You don’t pull out your laptop and start writing price sensitive emails in a public airport cafe. £500 an hour lawyer? The maths is attractive. True. I was speaking to one of our MDs recently who stayed in a Premier Inn before closing a £1.5bn deal. MDs don’t pull out laptops at the airport to write emails. They wil do it from their bb/iphone and be perfectly fine to do that at a public space at the airport. Their email will typically be less than 10 characters long and won’t use any punctuation. They won’t waste time to go to a small room with a few sandwiches. Times have changed since you’ve left the City, Rob. 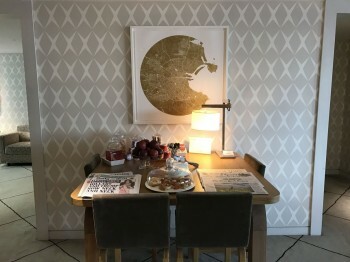 My wife is a City (not Citi) MD – although she kept her maiden name so no-one ever links us – and it doesn’t sound like anything I recognise (except the punctuation!). Do MD’s in the City seriously care about collecting points through credit cards and other promos? Yes. If you would pay cash for business class holiday flights, it has more value to you when you get them for free. It works both ways though. My old boss, on about £3m a year, flew easyJet on holidays in Europe because he wouldn’t pay BA school holiday prices. Our ex CEO only flew BA Y with his family and he was on £5m-£10m per year. That said, there were also people at my level happy to pay £85,000 per year for a Netjets membership, which I never would. It really isn’t as clear cut as you would think. I’d love to see some of these 10 character emails! LOL as £40/h NHS doc (& that’s after 20 years training) not quite so much – thank goodness for points & miles is all I say!! It’s a private security lane and it took them 2 minutes instead of 15 seconds! Seems rather pointless when you end up on a city key or other carriers Y class type seating. But each to their own. Not taking pictures in the T&Cs is utterly bizarre when everyone has a smart phone and are they really going to police that. BAs attitude towards the service is probably more sour grapes than anything else. It is odd because anyone paying for CE out of City is the prime market for this. Look lots of people here are really interested in airport lounges – that’s surely one of the reasons they collect points in the first place, so they can fly business and use lounges? Why then would people not want to know what was going on at LCY particularly as there is no other lounge option apart from the BA JFK offering ? I’m not going to use this service at £95 as I agree that the beauty of LCY is a late(ish) turn up and straight on the plane but there are plenty of people who follow this site who would. Agree with some of the other comments here. The drive up service is cool but £190 (or £95 when discounted) is a joke considering the rest of the product. Looks like a simple waiting room with basic amenities. Just compare it to the Plaza Premium Lounge in Heathrow. Costs about £35 to get in (if you even have to pay at all) there’s better booze and food including a champagne and tapas bar as well as showers, private resting suites, and a wellness spa all in a space that looks much higher end. Appreciate there’s no such offering at City Airport but it does make a bit of a mockery of this price tag. I guess this really is aimed at travelers for whom £95 is nothing more than loose change. ….. is the correct answer. The max capacity per day, given the seating, is perhaps 50? You price it high enough to get 50 people and no more. Do we know how many are currently using the facilities per day? That is the end of the story, get over it. Thank you for this review, I’ve looked forward to reading it since it was mentioned last week. We’re flying out of City in Feb to AMS for two nights at Hilton Schipol (reviewed on HfP thanks!). Partner is a keen aviation enthusiast and wants to fly on a RJ85. Since we are close at Gatwick I’m going to organize chauffer transport to the aircraft from the house. I can’t claim this one back but given he’s an underpaid and overworked free PA I think he’s earned it! Good grief! Why can’t you just thank Anika for telling us about something that’s a different experience. I thought it was interesting…..to see how the other might wish to half travel! At £95 I won’t be buying to get a car to the foot of the plane steps. As a retired NHS employee living in the far flung regions, never having been to City Airport, and not likely to be, it’s not value in my book. However, if some city MD earning shed loads , and by using this service can do his/her business / emails and helps them get a mega return my investments….go ahead , enjoy it. I thought it was interesting read, more information for us to know about. Agreed. Was unaware a comment on the price would attract a lot of comments. Tough one re md comment given the speed you get through LCY. I guess if they wanted to get there early and write emails understandable. Surely the discussion here should be not WHAT you can experience once you get to LCY (which in my book would be fine as a one-off treat – birthday, honeymoon…..and believe me, I ain’t on megabucks) but HOW the hell to get there. My sister, who has serious mobility issues, couldn’t possibly contemplate public transport, which is why it took her one and a half hours to get there the other day by Uber from Hyde Park Corner…..10 MILES! Any suggestions? 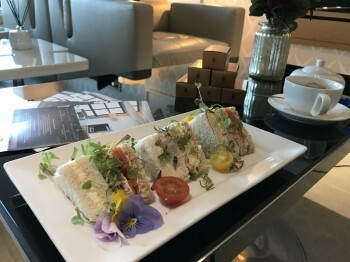 I think it’s fine to review the lounge as such, but I’m a bit puzzled by very conservative valuations when it comes to other things, and suddenly a small waiting room with a few sandwiches @ GBP 95 being good value. 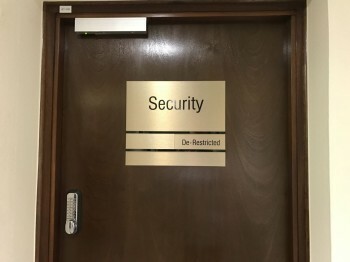 I think HFP needs to be a bit more objective when it comes to reviewing freebies – and this applies to a number of other articles, not just the LCY lounge. You can clearly see what you get for £95. Some people will pay it, others won’t. It is not our job to tell you how to prioritise your spending! Thank you Anika for the review. Good review and it may be useful to someone out there. If this review is not useful to you (I don’t have a spare £95 to throw away, unfortuantely:)), that’s fine but no need to be nasty about it. I have noticed the same nasty somments and attitudes after Rob kindly highlighted the potential loss of avios for Qatar R booking last week- which thankfully was all sorted. Keep up the good work Rob and Anika. The lounge is a total joke, to me it looks like a cheap hotel set up. 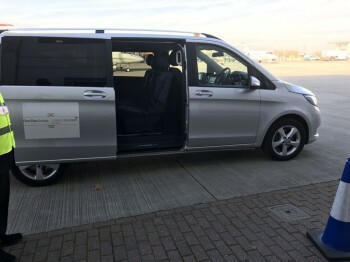 Why would anyone other than the disabled, require to be driven to the aircraft when the airport is a minute big! I think it looks quite interesting, but the design seems a little odd to me. 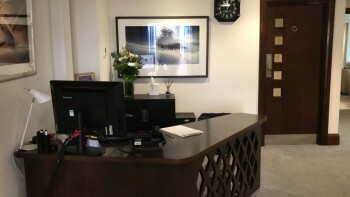 Rob talks about Managing Directors and target segments, but the lounge doesn’t really appear to be very work-friendly – perhaps I missed the pictures of desks, telephones, printers and so forth which a busy executive might well make use of. 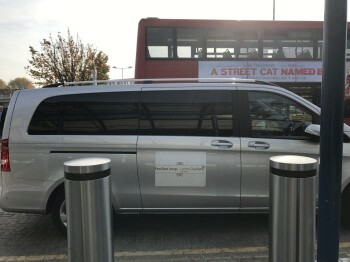 It almost seems more set up for celebs or footballers seeking some kind of sanctuary without being bothered in the terminal by people and almost £200 is a small cost for them. It’s not really that nice to work on a laptop on your knees, which you might have to do on one of those armchairs. If you are that pressed to do some last-minute stuff, the Starbucks outside isn’t too bad and at least you can put the computer on a desk.